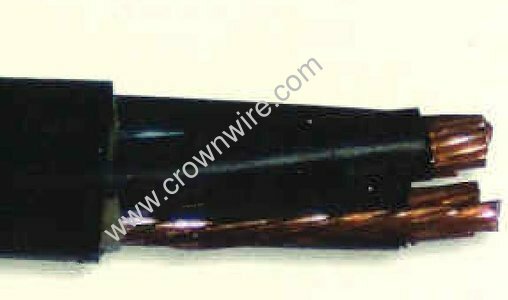 Item # 500/3RJG, RR Use Submersible Pump Cable On Crown Wire and Cable Co., Inc.
Our Round Double Jacketed is specially formulated for use in wet or dry locations. This premium pump cable has three or four copper conductors with or without ground wire. We will custom cut any length for your job. There is never any cutting charge. Color Code Black Insulation with ICEA method 4 printed number code. 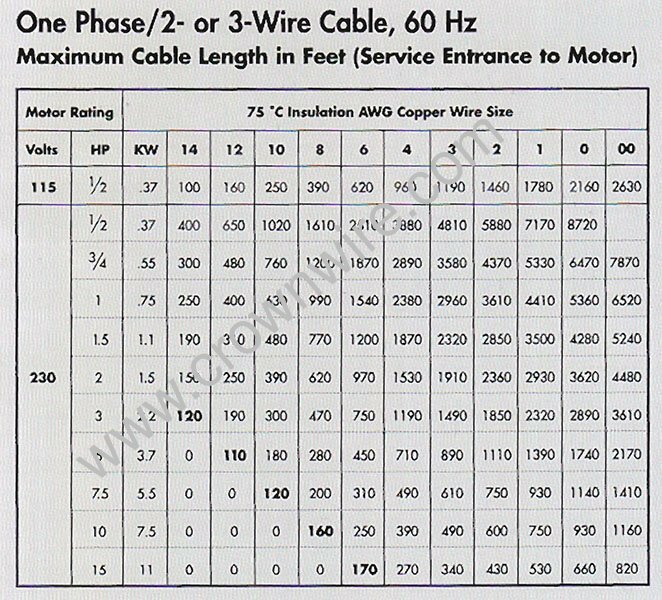 Test This specification covers Two, three and four Conductor cables having Vw-1 THHN/THWN (PVC Nylon) conductors With an overall polyvinyl chloride(PVC)jacket, conforming to article 318 and article 340 " Power and Control Cable of 1981 National Electrical code, and Subject 1277 of Underwriters Laboratories, Inc meets the requirements of the 70,000 BTU Test per IEEE-383 and shows reserve capablilities by also Passing the 210,000 BTU Flame test. Rate 600 Volts, 90 C dry and 75 C wet.